We often hear there are no good options for dealing with North Korea. The Human Rights Foundation thinks it's found one: a propaganda campaign smuggled in on thumb drives. In the northwestern corner of South Korea, visitors to the city of Paju can peer through binoculars across the DMZ into the North. Paju is the site of The Bridge of No Return, an archaic link between the two warring Koreas that, decades ago, was used to exchange prisoners. Paju witnessed some of the hardest fought battles during the Korean conflict. Today, it's the front for a different kind of war: A war of information. 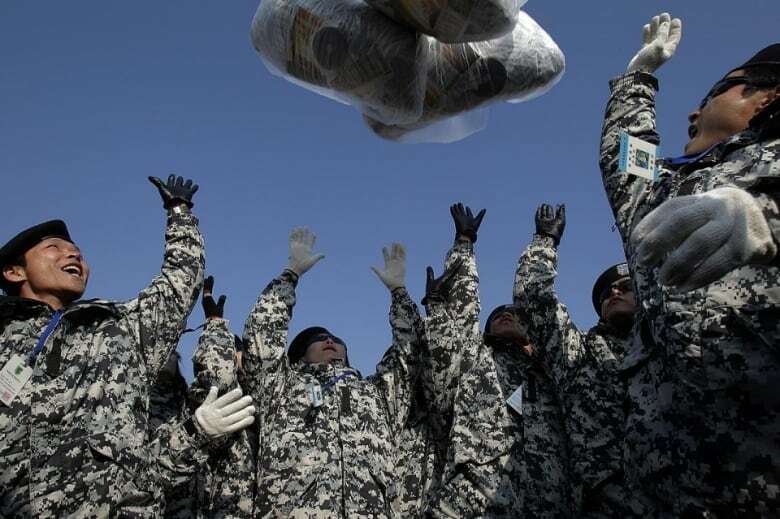 In Paju, hydrogen balloons are released at night to silently drift north across the world's most militarized border. They are carrying a payload of information — an invitation to whoever finds them to imagine another kind of life that is vastly different from the way they live in North Korea. On Day 6, Alex Gladstein tells me that, "what we're really trying to do here is just put little tiny cracks in the wall, little tiny cracks in this sort of iron curtain of information." Gladstein, the chief strategy officer with Human Rights Foundation, helped compose the payload. He's been to Paju and witnessed the release of the balloons. 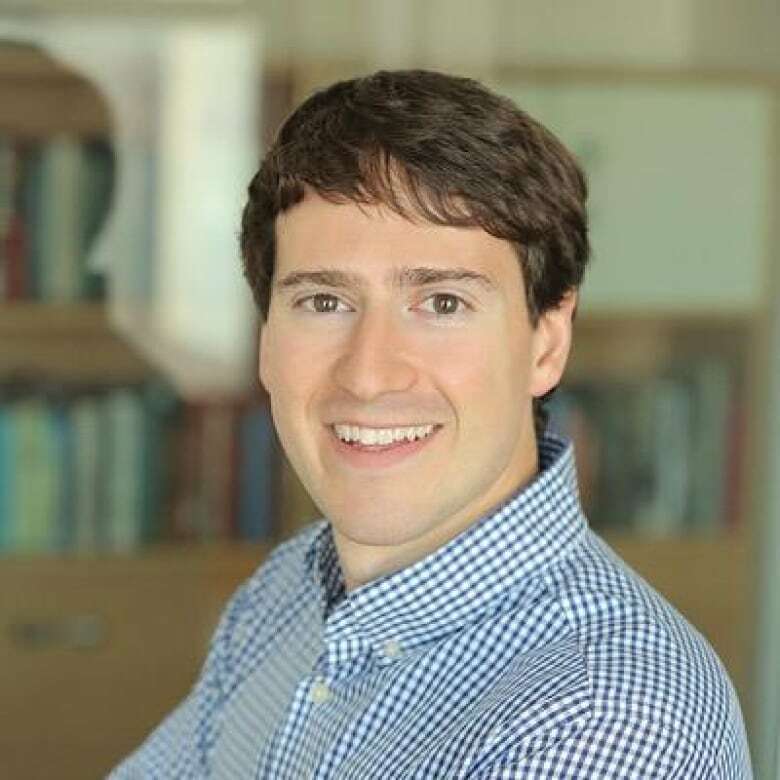 Alex Gladstein is Chief Strategy Officer with Human Rights Foundation. (Human Rights Foundation) "It's very moving," he says. "You attach, essentially a garbage bag, to a large balloon and you pack it filled with leaflets from the outside world with information about how to escape North Korea, dollar bills for the black market, DVDs, CDs." "Essentially there's a little timer and after about an hour or so, a little acid vial deteriorates and then the bag opens and it just drops over North Korea." North Koreans are forbidden to consume western media, but many still hunger for commercial entertainment. "The citizens do not care about state propaganda but increasingly watch illegally imported South Korean movies and dramas," a high level defector told CNN. "Over the last decade, entertainment has really saturated the North Korean society," he says. "So it's very ubiquitous — common — for people to sit and quietly, secretly watch movies and entertainment." "However, what's really interesting is that in the last few years, there's sort of a demand for a new type of information. We'll call it like a second level, second dimension of information." 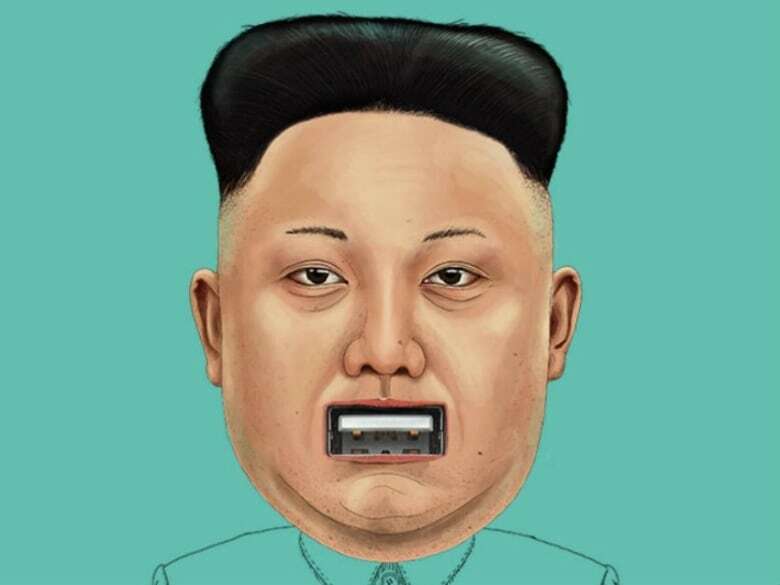 Human Rights Foundation is accepting flash drives from around the world so they can jam them into North Korea. "These flash drives get shipped over to South Korea," Gladstein explains. "They get wiped. They get content uploaded onto the drives, which is determined by North Korean defectors and people who've fled North Korea. So they sit down ... and figure out what content is most effective to send in." The content that they send to North Korea includes, among other things, documentaries about major political events, such as the Arab Spring; current news content from South Korea; and Wikipedia entries in Korean for Kim Jong-un or North Korea. Balloons are one way to get information into the Hermit Kingdom, but Gladstein says the vast majority of the flash drives make their way to the Chinese border and then cross into North Korea through the flourishing black markets of the country's underground economy. The North Korean government has executed people for possessing what it views as illicit, foreign content. But people are willing to pay a week's wages for the USB drives on the black market. According to Gladstein, defectors say that what they are seeing changes their lives. "The majority of them have come into contact with foreign media, and they have displayed a huge interest," Gladstein says. "The North Koreans who escaped have told us that this is transforming society." He says even in Pyongyang, where the regime is most controlling and has the most support, there are signs of change. "Western reporters who are brought in to the capitol — into this highly choreographed, you know, sort of stage setting — even they can see little cracks. "I mean, they can see people wearing jeans, they can see people speaking a little bit differently, wearing maybe South Korean haircuts [or] having jewelry or some sort of accent on them that shows a little bit of colour and individuality." "So even in the heart of the regime, you're starting to see some change." The North Korean regime is now in its seventh decade of power. Gladstein says where there was once stability in the second tier of power around the leader, Kim Jong-un has made changes that suggest some turbulence. "We're also seeing a regime that's very smart at keeping the status quo. So despite the fact that there may be a little bit of chaos at the top, these guys know what they're doing," Gladstein says. That said, he is critical of North Korea's neighbours and the U.S. for being wary of a destabilized DPRK. "Japan, [the] United States, Russia, China, South Korea: they all kind of want the status quo, unfortunately. They want to keep what's happening in North Korea the same, and that's really bad for the quarter million people stuck in concentration camps in North Korea today." Gladstein says when people say there are no good options for North Korea, they're not understanding the powerful role of pure information. "I would agree with them that the military option is not a good option, and that the negotiation and diplomacy option is not a good option. However, [there] is a third way and that is reaching the North Korean people directly by circumventing the government and sending information into this closed society." "Hopefully they will seize that moment, and maybe you'll see something like what just happened in Zimbabwe." To hear the full interview with Alex Gladstein, download our podcast or click the 'Listen' button at the top of this page. 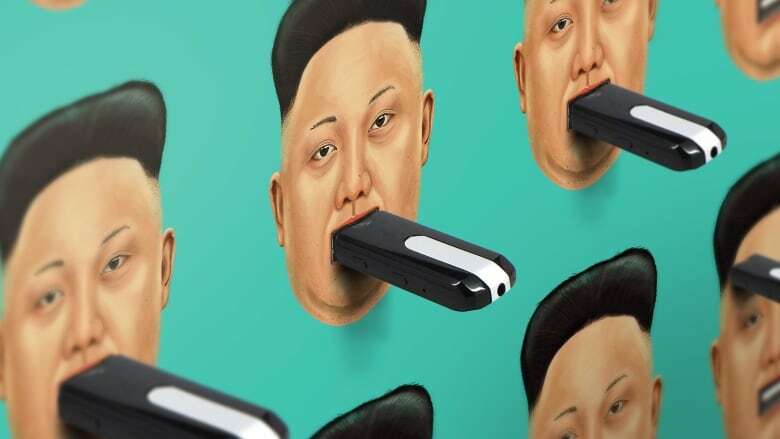 NOTE: A previous version of this story said that "Possessing a flash drive with illicit content in North Korea is a capital crime." It has been updated to say that "the North Korean government has executed people for possessing what it views as illicit, foreign content."